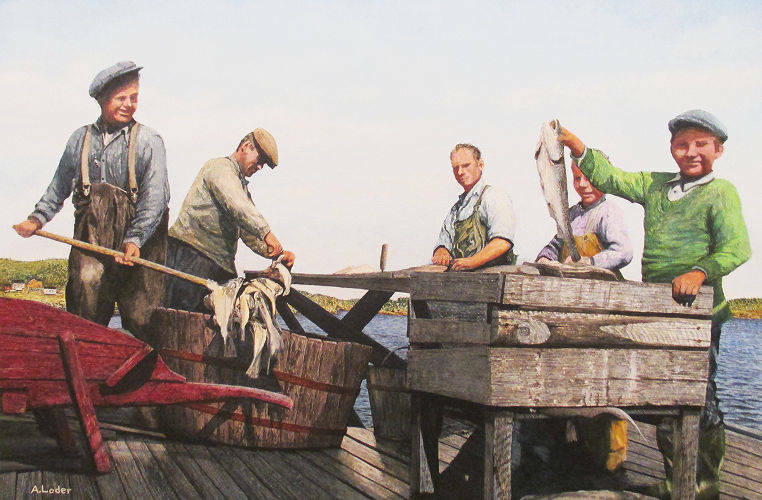 "Morning Haul" by Allan Loder. 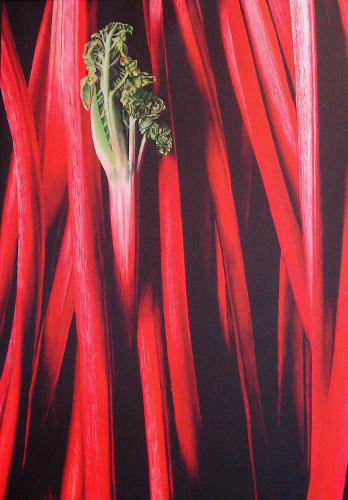 "Soon be Done" by Allan Loder. 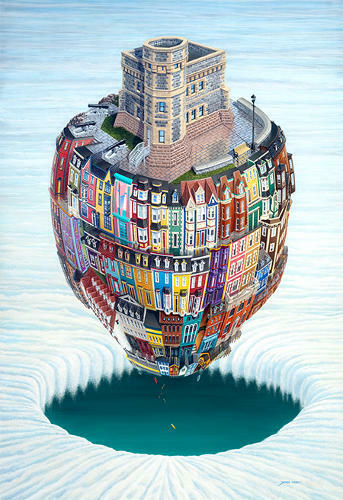 "Heading Out" by Ben Gillard. 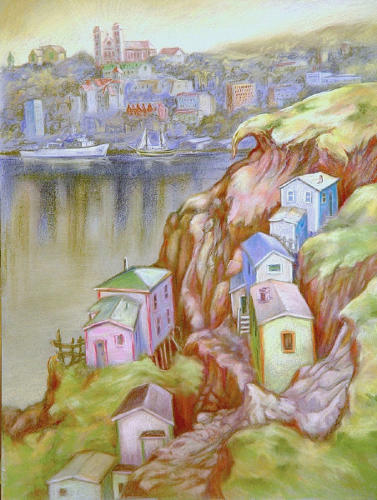 "The Narrows" by Ben Gillard. 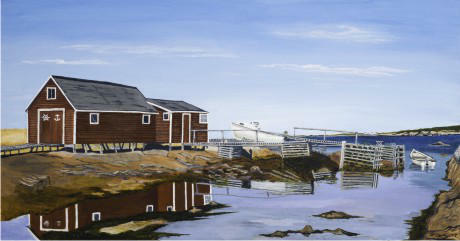 "Belle of the Bay" by Will Whelan. 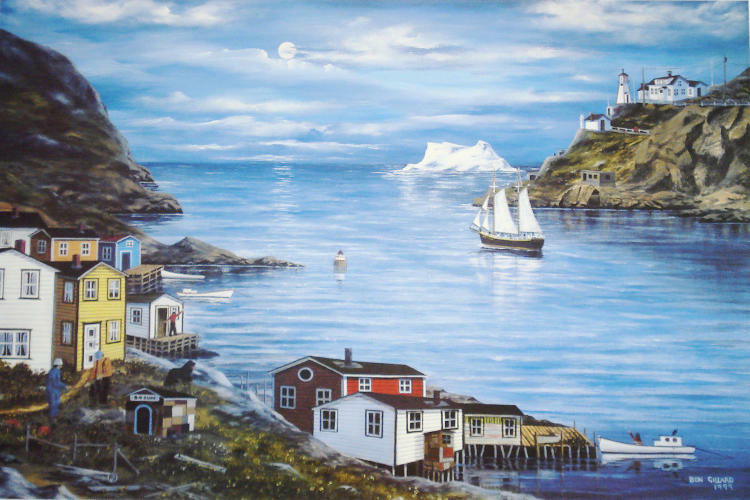 "Ferryland Head" by Debra Barnable. "Norris Point" by Doug Bird. "At Day's End" by Dave Hoddinott. 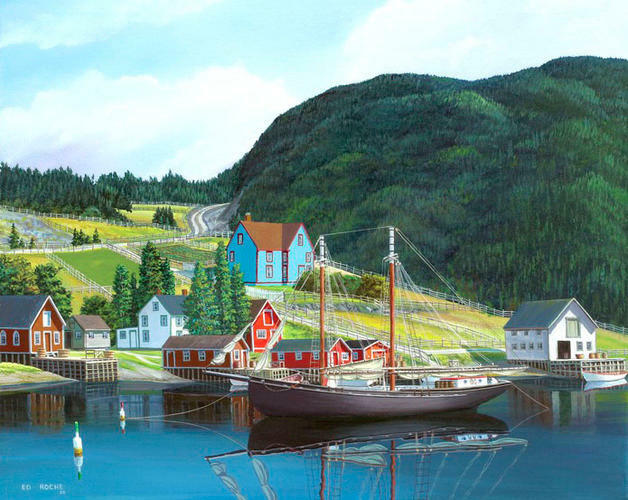 "Tizzard's Harbour" by Ed Roche. 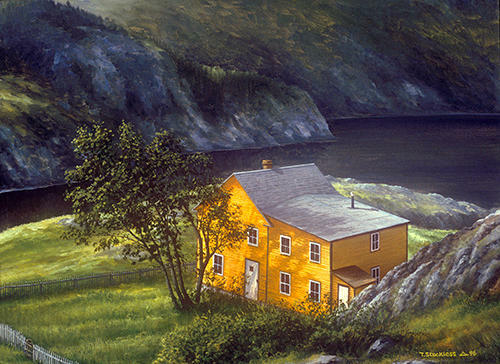 "Englee Circa 1942" by Harold Marshall. "Pitcher Plant" by Ian Sparkes. 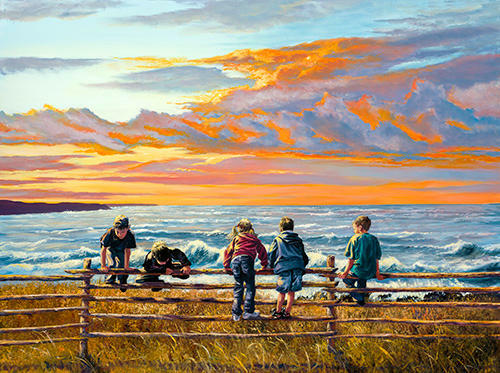 "Time and Tide" by Ian Sparkes. 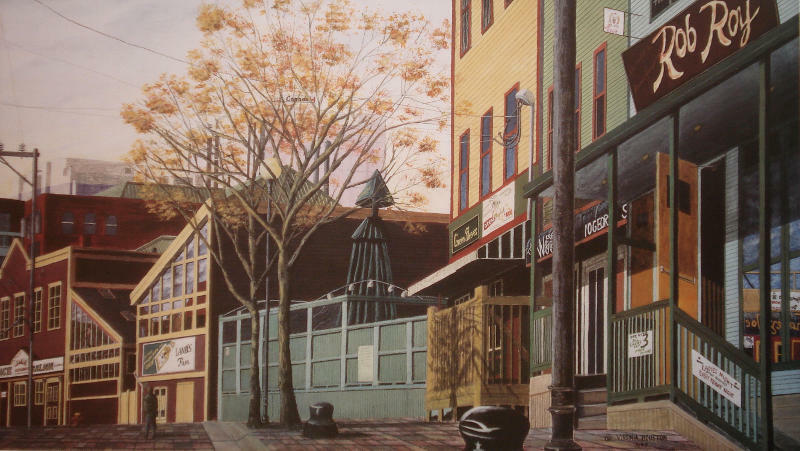 "George Street" by James Long. 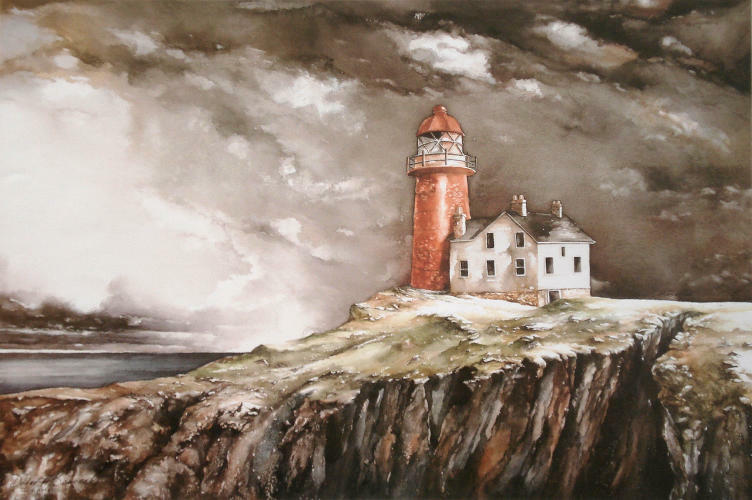 "Cape Spear" by Leona Ottenheimer. 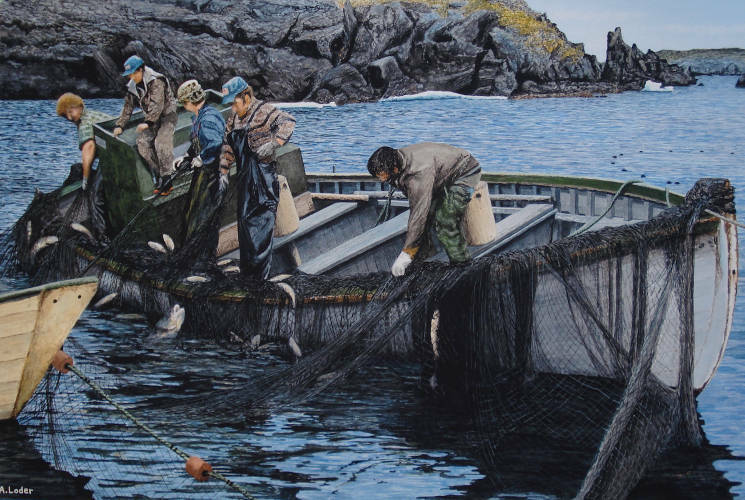 "Plenty of Fish" by Leona Ottenheimer. 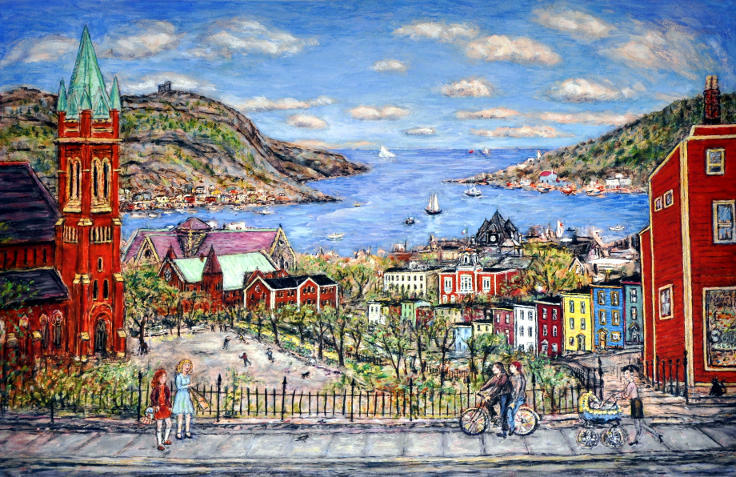 "View from the Battery" by Leona Ottneheimer. 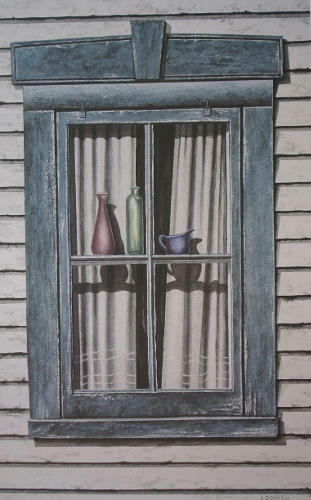 "Aunt Lizzie's Window" by Linda Doody. 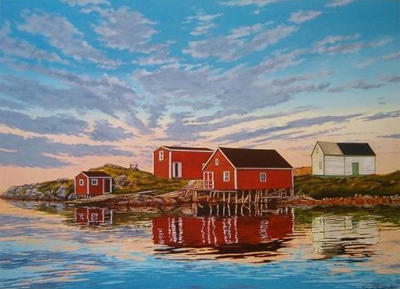 "First Light, Cape Spear" by Linda Doody. 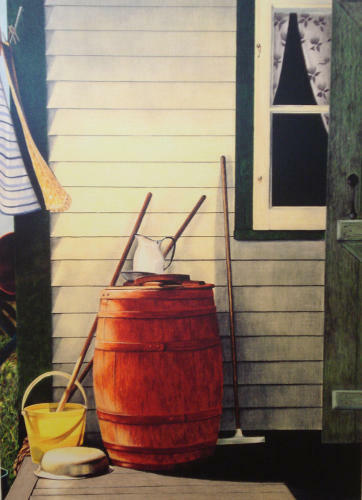 "Rain Barrel" by Linda Doody. 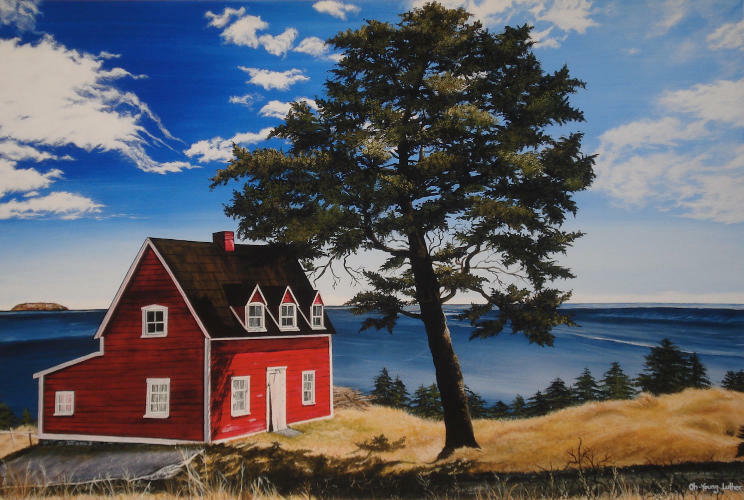 "Red House, Tors Cove" by Oh-Young Luther. 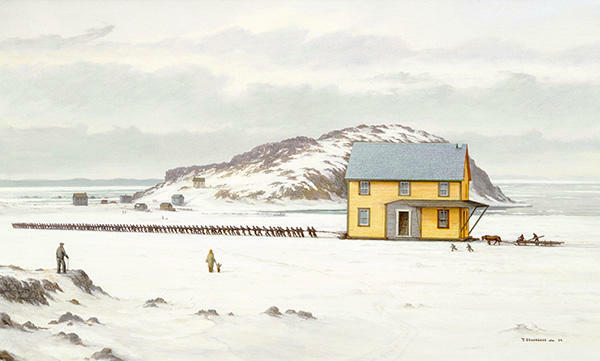 "Our Old Homestead" by Winston Carter. 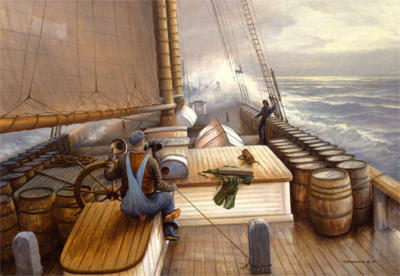 "Bourne of Wind and Swell" by Ted Stuckless. "Harbour Buffett" by Charlene Pafford Sharpe. 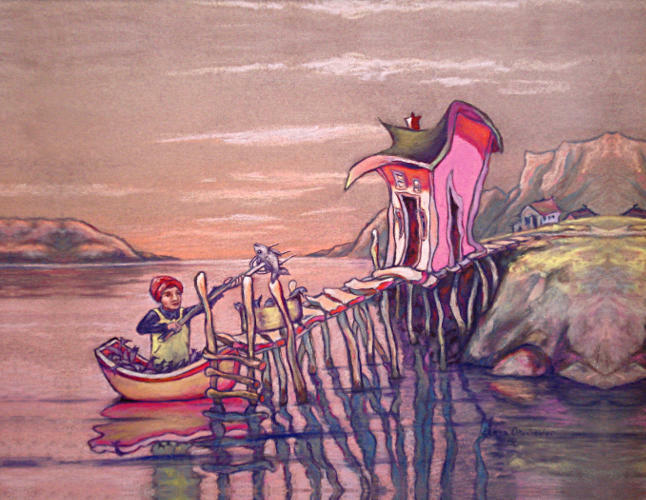 "Pulling Together" by Ted Stuckless. 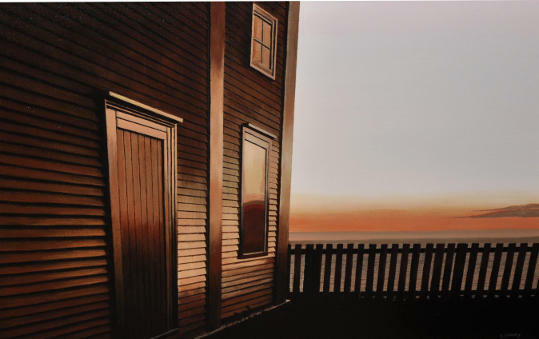 "The Manuel House" by Ted Stuckless. 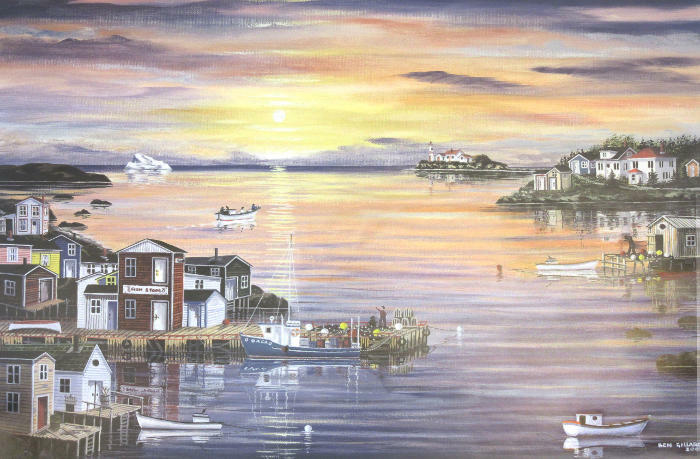 "Down to the Harbour" by Tish Holland. 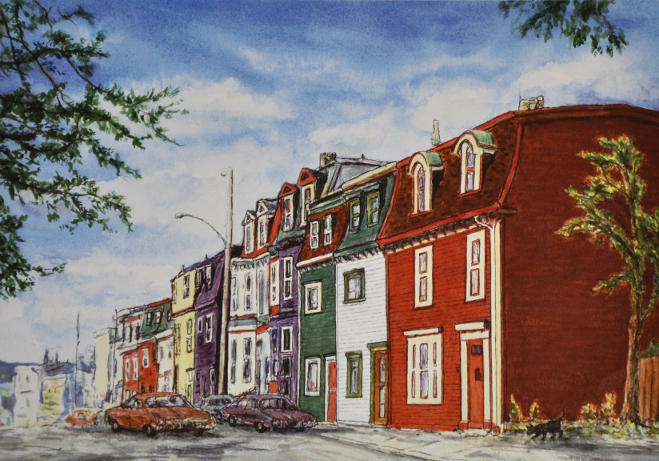 "Row Houses (Queen's Road)" by Tish Holland. 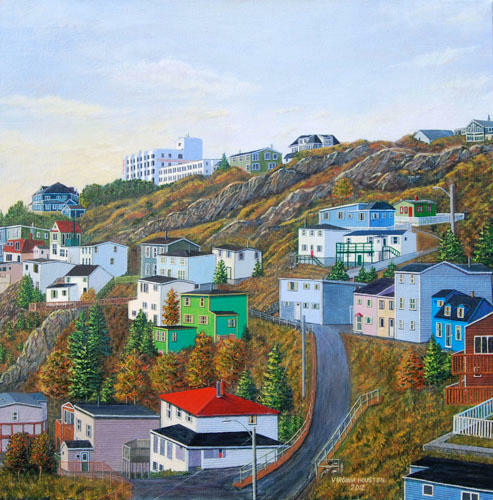 "View from Harvey Road" by Tish Holland. 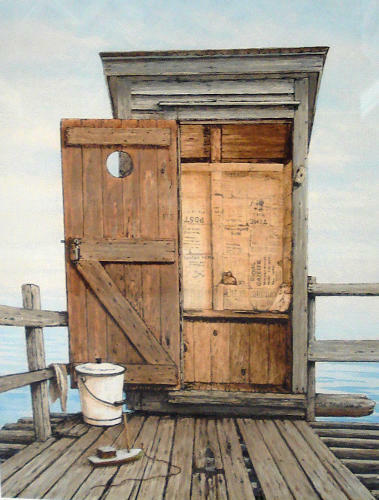 "The Outhouse II" by Ted Stuckless. 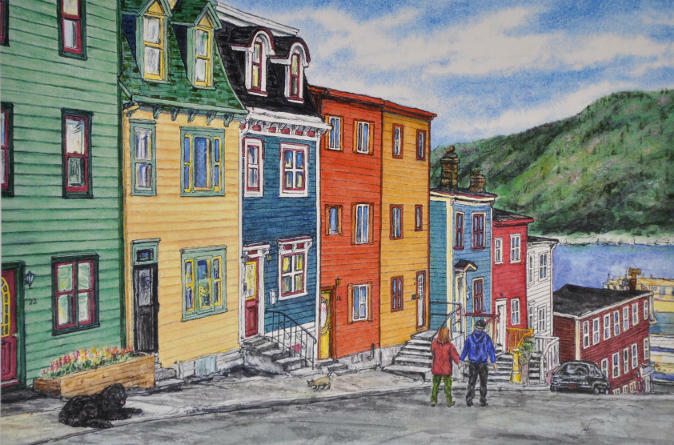 "Sunday Afternoon on George Street" by Virginia Houston. 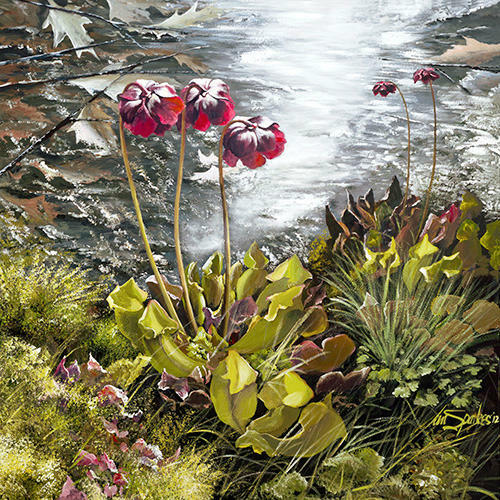 "Autumn Interlude" by Virginia Houston. "A Tranquil Sunday" by Winston Carter. 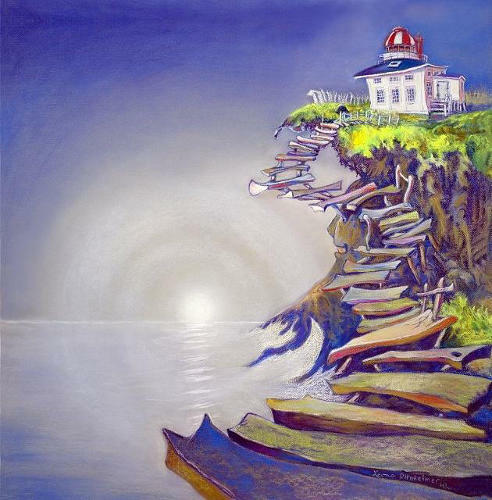 "Cabot Tower" by Leona Ottenheimer.